Salmon girl holds the mythic eyed salmon egg, dreaming the salmon home. 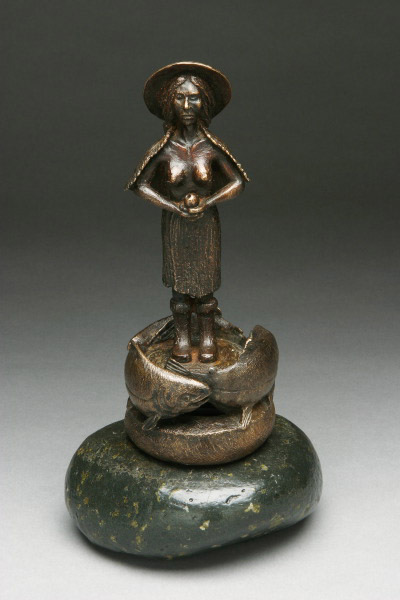 Salmon Girl is an echo of the traditional Northwest Native figure of Salmon Woman. It embodies my hope that we might some day inhabit this landscape with the same soulful dignity as the original people who came before us. Salmon Girl is holding an eyed salmon egg while mature salmon swim around her.